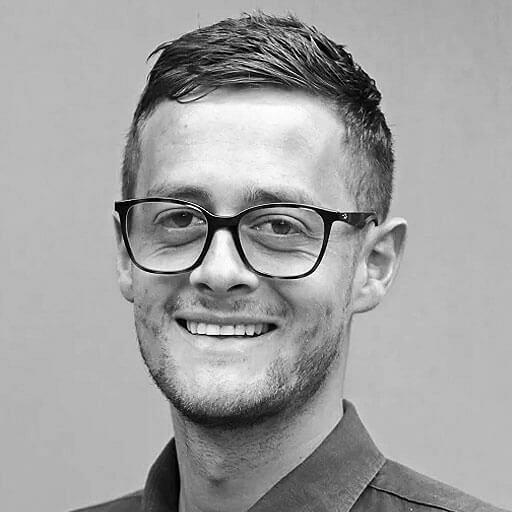 David Schout is a Melbourne-based freelance journalist who has written and reported for the likes of The Guardian, the ICC, Sportsbet, and AFL Media. You can follow him on Twitter at @david_schout. 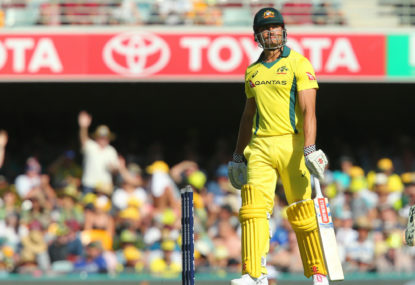 Just two months ago, Marcus Stoinis left the Allan Border Medal as Australia’s best one day player of the past year. 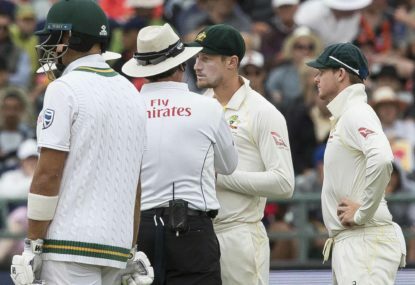 On a train to Nottingham for Day 2 of the fourth Test in the 2015 Ashes, I knew Michael Clarke’s Australian team was bracing for a day of ceaseless taunting. 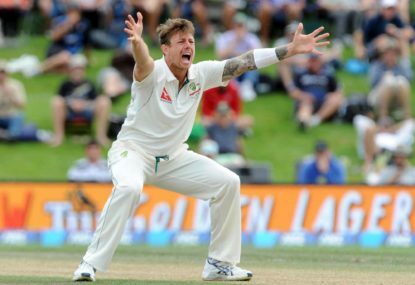 The dormant volcano that is James Pattinson has erupted, and his case for selection in this year’s Ashes is becoming more compelling by the day. 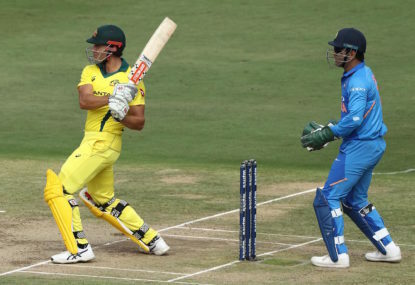 At 2-0 down against a confident India, the trepidation that so characterised recent Australian ODI sides was noticeably absent last week. When Australia tasted World Cup glory in 2015, Michael Clarke’s leadership was important without being pivotal. Cameron Bancroft’s return to cricket has been decidedly emphatic. While some of his contemporaries are still donning the whites, Andrew McDonald has achieved in four years what few coaches boast in an entire career. 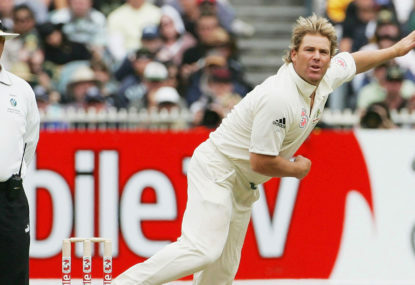 Shane Warne made a career out of confusion. 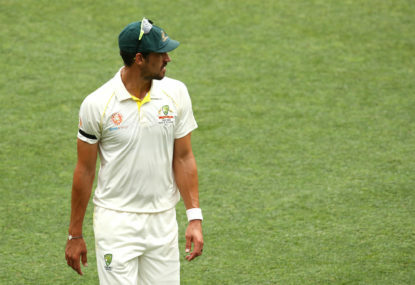 Armed with an array of deliveries that made even the most accomplished squirm, countless batsmen would end up befuddled, walking back to the rooms wondering just what had happened. The Aussies are winning, the Poms are losing, and an 18-year drought on UK soil may just be broken later this year. Or so say the optimists. 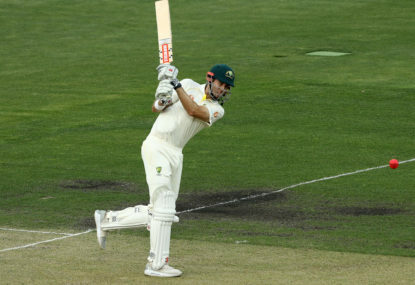 By opting for Joe Burns and Kurtis Patterson against Sri Lanka, the Australian selectors have come good on their promise to reward Shield runs with national selection. Yes, the BBL is slightly long. But does it matter? At the halfway point of a newly-extended season, complaints of BBB (Big Bash Boredom) were hardly unexpected. 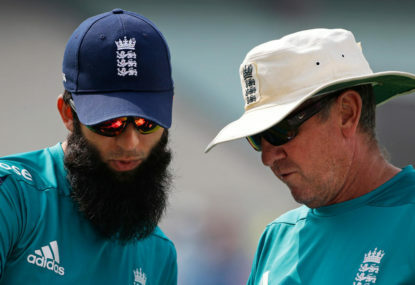 As the Ashes loom, how will selectors weigh runs against Sri Lanka? 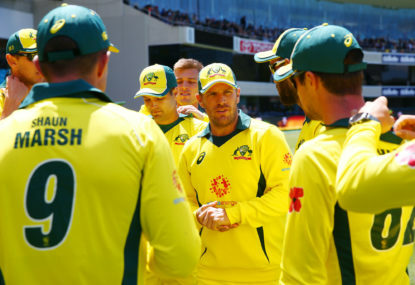 As far as squad announcements go, yesterday’s 13-man outfit to face Sri Lanka appeared to appease the increasingly irate masses. The time for excuses has passed. In fact, justifications were already stale last summer. 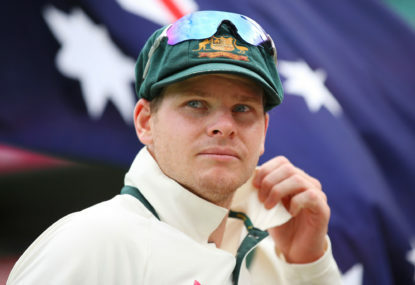 Since Steve Smith not so much threw the MCC coaching manual out the window as set fire to it, the appreciation of distinctive or unusual batting techniques has risen. 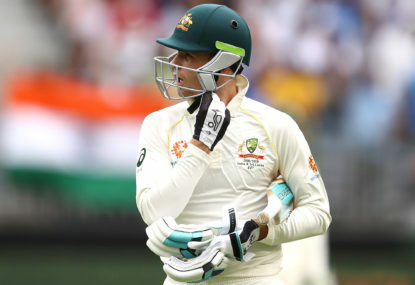 The overwhelming rhetoric that the Optus Stadium wicket will suit Australia’s bowlers over India’s conveniently ignores what happened in Adelaide and the pace qualities of the tourists in general. 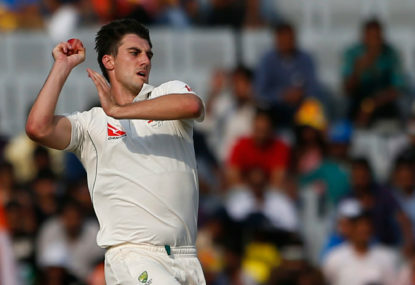 It’s the video that sent club cricketers gushing, pundits purring and rivals retching. 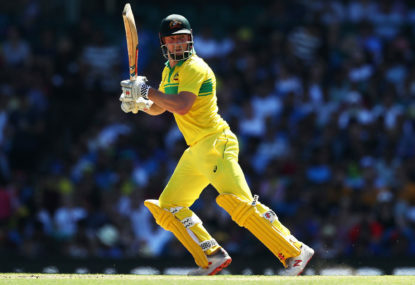 Victoria’s decision to deny Aaron Finch an opener’s berth in the Sheffield Shield is an intriguing power play directed at new Cricket Australia leadership. 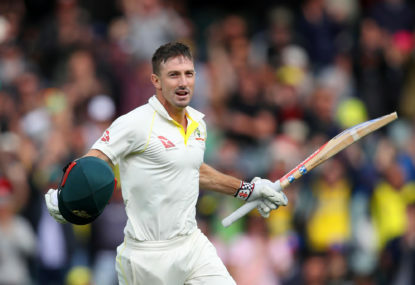 As Shaun Marsh strolled off Adelaide Oval on Monday after a classy 163 not out for Western Australia, certain cricket fans were unconvinced. I also think that if they’re playing on roads (especially in the early stages) they’ll breeze through. But when the wickets wear a bit later in the tournament (like in the Champions Trophy), that will be a leveller. Respectfully disagree. For me it embodied the arrogant, win-at-all-costs culture perpetuated by CA (that all came out in the culture review). Was quite apt in a way. And there’s no way the hands were there if England had won the series. Anyway, hopefully that sort of behaviour is behind them. Not really. Naturally, his selection is fitness pending. If he’s fit he plays IMO. Ah, gotcha. Yep, that’s not clear – should have stipulated in the nine innings *before* landing in India. 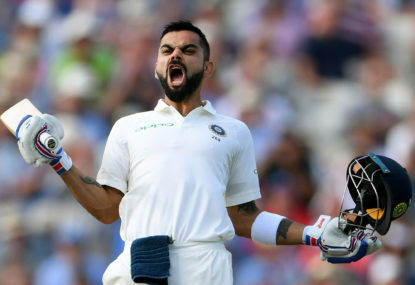 For reference, his scores before going to India read: 131, 24, 101, 8, 22, 106, 54, 131, 39. Huh? The four tons in nine game don’t include the tour of India. They include the UK tour and home series against South Africa and India. And you don’t need ‘corroboration’ from a selector that they consider him on thin ice because a) they never say that publicly and b) dropping him says as much anyhow. You were there? Lucky man, hope you had a ball! Who captains, Sean? Finch has to IMO. Strong side though. It’s a good point, Paul. Gillespie could have easily landed the England job, too. He was seen (in many eyes) as the frontrunner before Bayliss got it in 2015. I actually agree with you in that Pucovski should have played. 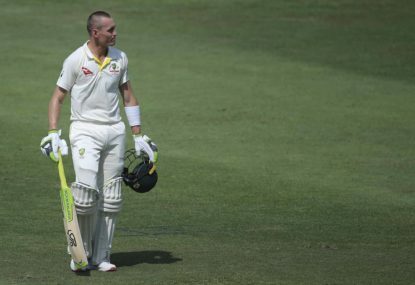 The pleasing outcome from it, though, was that the selectors haven’t hastily chop-and-changed like we’ve become accustomed to. Re: Burns, I wouldn’t be so sure. 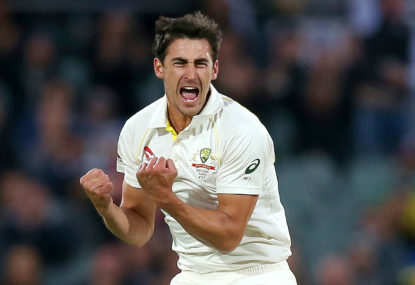 He has spent time on the County circuit there, and his home deck is obviously The Gabba, which often provides something for the seamers. Paul, the piece primarily addresses viewers who are simply bored of the longer season, not a deeper issue of potential player burnout. Word limits, and all that. As for your suggestion that the expanded format is not set in stone, let me tell you that it is. 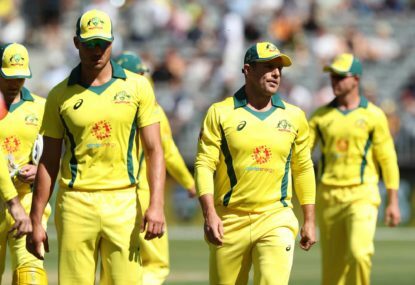 If CA were concerned about a longer schedule (*they’re not), they could ask Foxtel execs to go back to a shorter season, but will be laughed out of the room. Oh, absolutely. 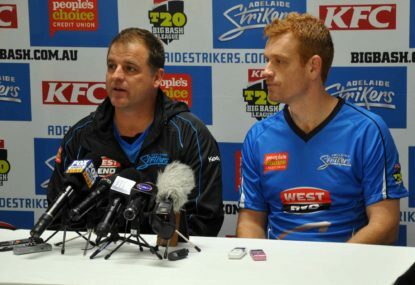 When players’ form in the BBL is used for selection in other formats, that is an issue. You’re not really grasping my argument. A Day One pitch on the biggest cricketing day on the calendar NEEDS to offer something. India could well roll Australia and my argument remains the same. Fair enough Waxhead, but who are the four candidates? I can only think of Stoinis who can bat six and bowl 15 seam upright overs. By no means am I saying Marsh was banging the door down, but his performance yesterday justified the selection. And he did threaten, several times in fact. Without him, the three quicks would have been cooked going into a 36 degree day – the recipe for a long-term injury. I don’t subscribe to that theory at all, Paul. 215 runs and two wickets in a full day of test cricket means you can very much make that that conclusion before both sides have batted.